Platinum "Z" Link 5.5mm Chain. 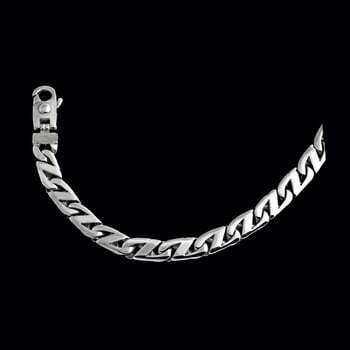 This Platinum chain measures 5.5mm wide and our price shown is for the 8 1/2 inch bracelet weighing about 58.44grams. Gorgeous, flashy link you're sure to love. Custom order this Platinum bracelet in a length just right for you.